With our Always Ready AED & Training Management Program, we will automatically advise you of when to service batteries & electrode pads for your AED and soon-to-be expiring trained responders. Free in-house training:?One free “Empowerment session” on how use and maintain your Philips HeartStart ? AEDs. (Manitoba only at this time). Free, On-Demand training videos via our YouTube channel. Automatic Reminders: We will automatically advise you of expired trained responders and when to service batteries & electrode pads for your AED. Warranty:?Philips AEDs come with an?8 year manufacturer’s warranty. 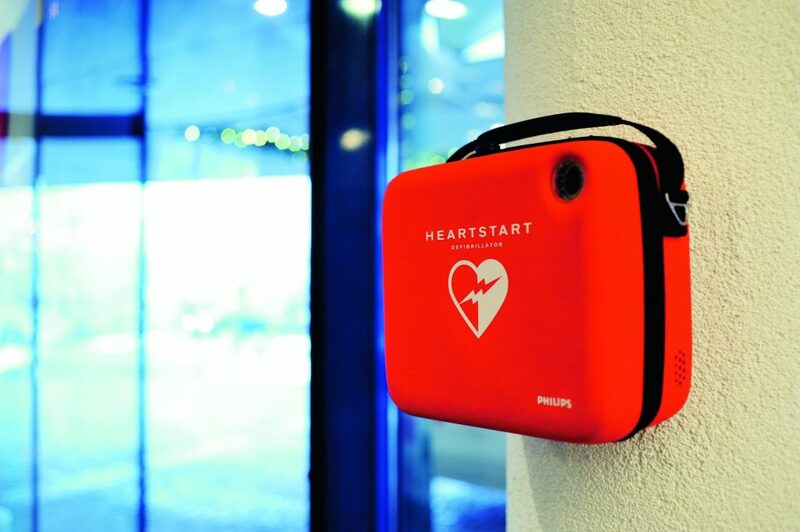 We will service and support any Philips AED products we sell. Free AED Rentals:?Free rental of additional AED’s for company-related special events. Free support: including hardware documentation, call in technical support will help you navigate the various facets of AED ownership. If you would like more information on our Always Ready AED Training & Management Program, please contact us today. Our knowledgeable staff along with Medical Director ensure that you get the right information and program support for your AED and trained responders. 4. Flexible leasing and payment options. Take advantage of our Lease on Life lease-to-own program. 5. Enrollment into our free, Always Ready AED Training & Management Program. We will automatically advise you of expired trained responders and when to service batteries & electrode pads for your AED. 6. 8 year warranty and great service! We service and provide all and support any warranty work on all Philips AED products we sell. All AEDs come with a 8 year manufacturers warranty (FR3 excluded - 5 years only).